When trying to be a bit healthier and generally reduce the amount of fat and sugar you consume one of the easiest changes is to eliminate dairy products. For me avoiding cheese is easy, so I'll let someone else tackle that - my problem is milk. I love milk and as I try to have cereal every day for as many meals as is humanly possible not being able to have milk presents issues. So here we have a few variations. 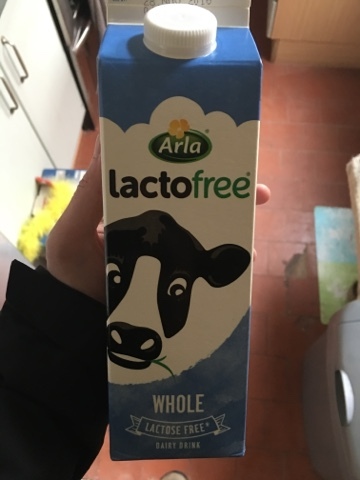 First up we have Lactose free milk (by Arlo), which is still milk and has all the fat and dietary issues that milk has, but if you are lactose intolerant or suspect you might be then this could be the answer. 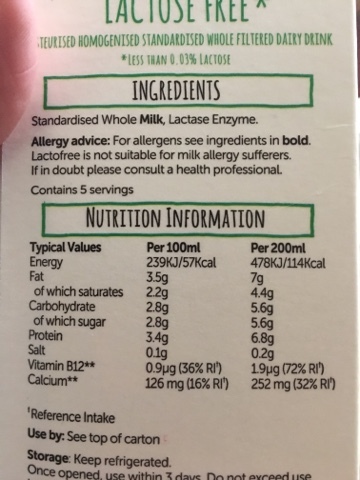 It's essentially the UHT milk, but then they magically remove the lactose. 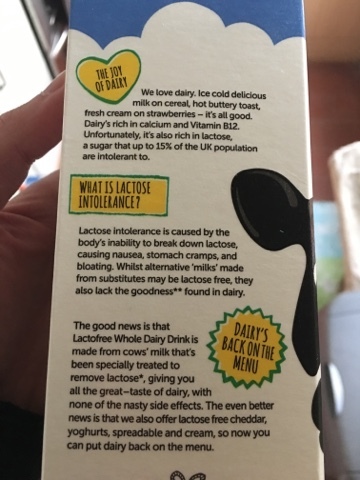 I tried this to see if it helped with the dairy reduction issues and it happened that I had to drink a lot of other people's milk that weekend so I never got a clear answer. I can buy more though because the taste is fine (like those little single serving milk cartons) as you'd expect - it's milk! They essentially use enzymes to pre-digest the lactose which is pretty cool, and could help someone. 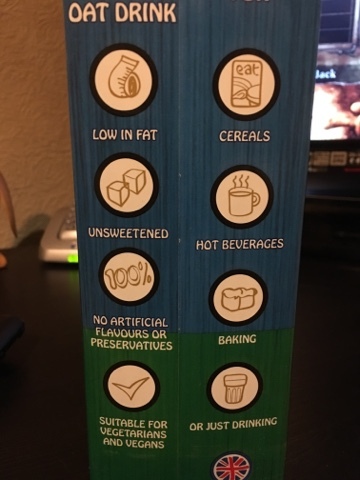 The ingredients and calories show that it's not that far off normal milk, and is not as healthy for fat and calorie reduction as the soy milk is. I guess if you need it then it's not going to hurt. Next up we have a new variety of Oat Milk. I've talked about Oatly before which I wanted to love but could merely tolerate. 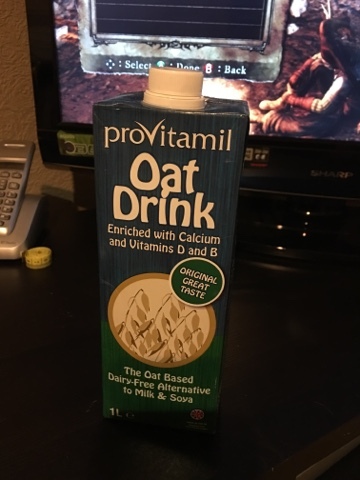 This is much closer to the almond or soy milk in taste, although they did add more to it so maybe you won't get the full health benefits. People got very upset when they found out Sunny D had oil in it, yet these are sold as health drinks. Odd. 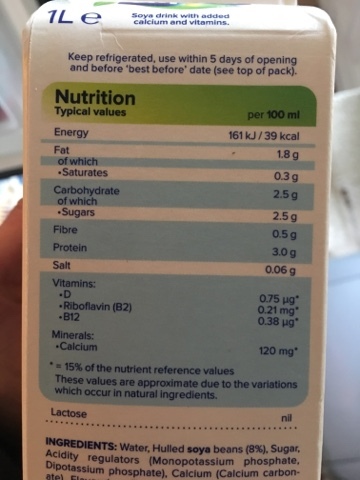 1.2g of fat means that it's the closest of the three to a fat free dairy substitute, but it's borderline for salt levels and is 40kcal per portion which is practically the same as soy. 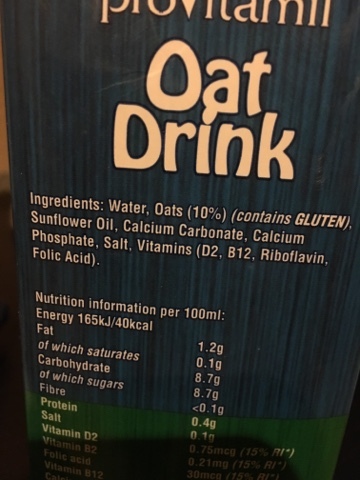 If you want to eat breakfast cereal and not put on weight and actually increase the nutritional value then these two are viable options, well the soy and the oats. I think I'd look for ones without the SOS (Salt Oil Sugar) combo added extra. It's those things that will help with the health kick, and frankly if you are eating a good enough cereal all three are similar enough to fresh milk that after a few days you don't really mind the differenc.